Are you looking to get away from the hustle and bustle of everyday life? 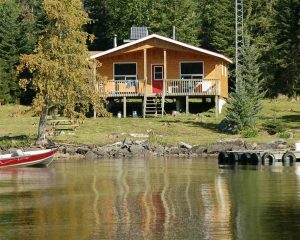 Staying in a cabin with us at Mattice Lake Outfitters can be a great way for you and your family to unplug and reconnect! We have plenty of cabins available; however it’s important to keep in mind that staying in a cabin is different than staying in a hotel. If you decide to take your family on the perfect trip in nature, keep these helpful tips in mind! Many cabins encourage guests to bring their own things, so do a little research before you go and see what types of things you need to bring. Do you need to bring your own towels and sheets? What kind of utensils are in the kitchen? You’ll want to be fully prepared, especially when the kids are there! Most cabins come with a kitchen, which is a plus for many families since you can save money on eating out. When you are planning what food to bring, keep simplicity in mind. You don’t want to spend hours cooking when you could be enjoying time with your family. When you’re packing, think of outdoor things that your kids can enjoy outdoors and bring them with you. If you are driving to the cabin, bring bikes, Frisbees, jump ropes, soccer balls etc. You should also bring extra bags for your kids so they can collect special treasures they find in nature! Ready to get going on your next cabin adventure? Contact us today by calling 1-800-411-0334! With our 14 deluxe outpost camps and two wilderness lodges all along the legendary Ogoki-Albany river system, we’re sure you’ll love your family vacation with us!